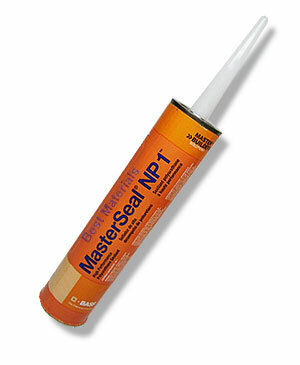 PRODUCT: MasterSeal NP1 (formerly Sonolastic NP1) One-Part Polyurethane Caulking Sealant, TAN COLOR, 10.1 oz / 300mL Tube. Price/Tube. APPLICATIONS: MasterSeal NP 1 Polyurethane Sealant is a one-component high-performance gun-grade moisture-curing polyurethane sealant designed for a wide range of sealing and caulking applications in active exterior joints. Pearl V904MS, P4 Segmented Crack-Chaser Diamond Blade, 4 inch OD x 5/8-11 mount. Price/Each.